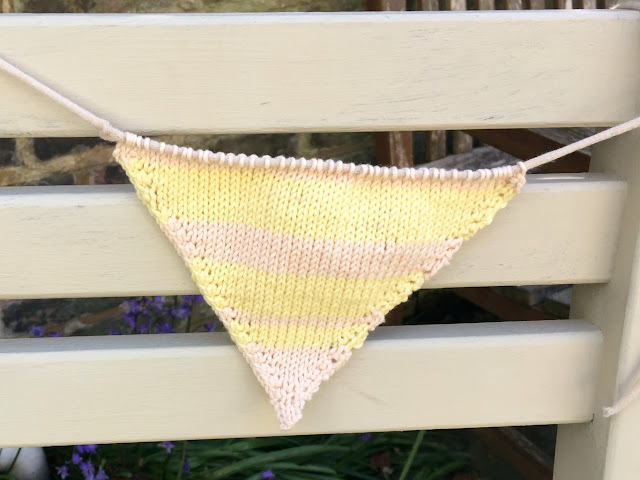 In honour of the season – and in the hope that it might inspire the weather to play along – I’ve been working up some spring bunting in the lighter shades of pale. I’m using Costa Brava Knitting's 4 ply organic cotton range – colours Rose Blush and Honeysuckle, which are so very subtle together. I've knit on size 11 (3 mm) needles to a tension of 26 stitches x 36 rows on a 10 cm x 10 cm square. 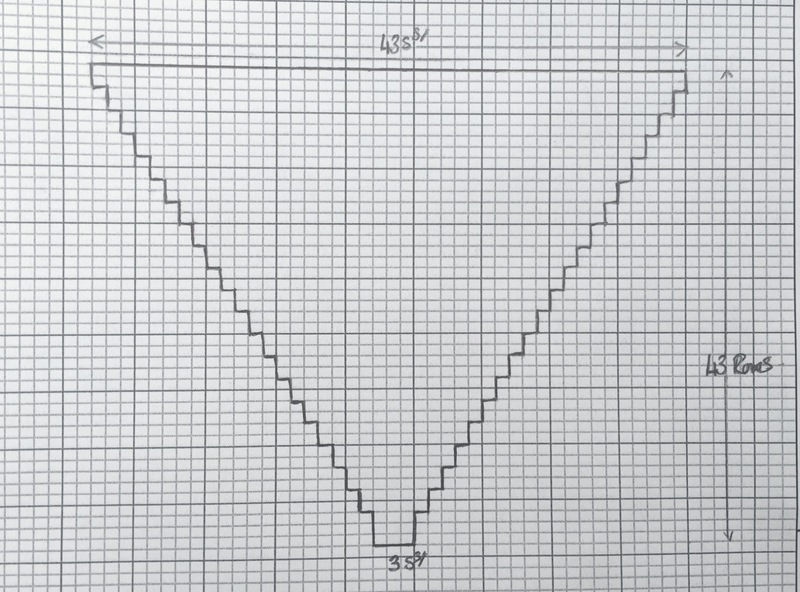 The basic outline for the bunting is shown on the stitch diagram below. 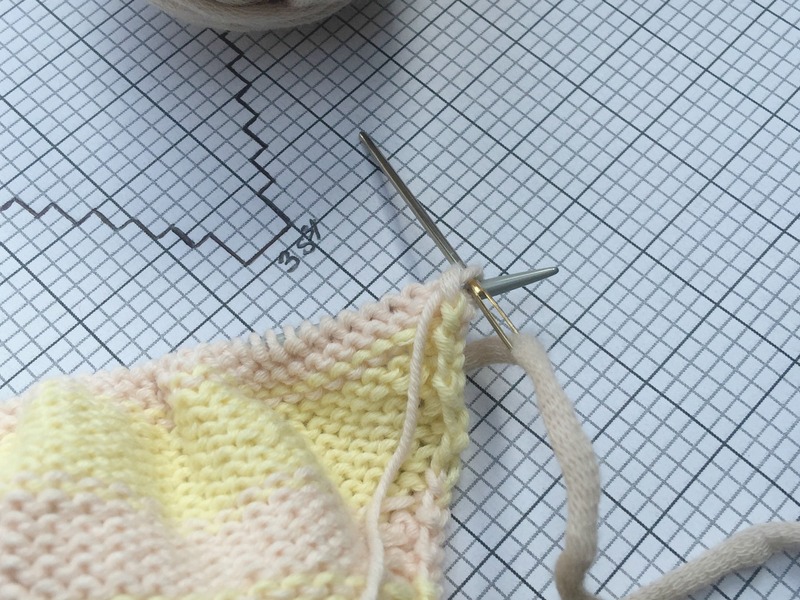 Each rectangle represents as stitch with the rows progressing from the bottom to the top. Cast on 3 stitches and work the first 3 rows in stocking stitch. Row 4: Purl 1 (p1), purl into front and back of next stitch (pfb), pl 1, pfb, p1 [at the end of this row you will have 5 stitches]. 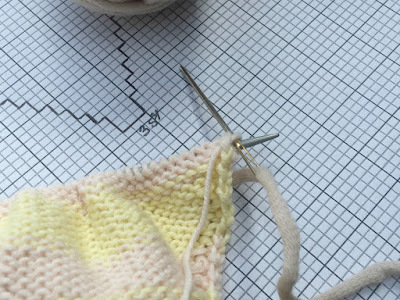 Carry on repeating rows 6 and 7 until you have 43 stitches on the needles, which will take 42 rows to achieve. Knit one further row. You can change from Rose Blush to Honeysuckle as the whim takes you. If you want to reproduce my stripes I did rows 1 to 12 in Rose Blush, rows 13 to 16 in Honeysuckle, rows 17 and 18 in Rose Blush, rows 19 to 26 in Honeysuckle, rows 27 to 32 in Rose Blush and rows 33 to 43 in Honeysuckle. These babies are worked without casting off. 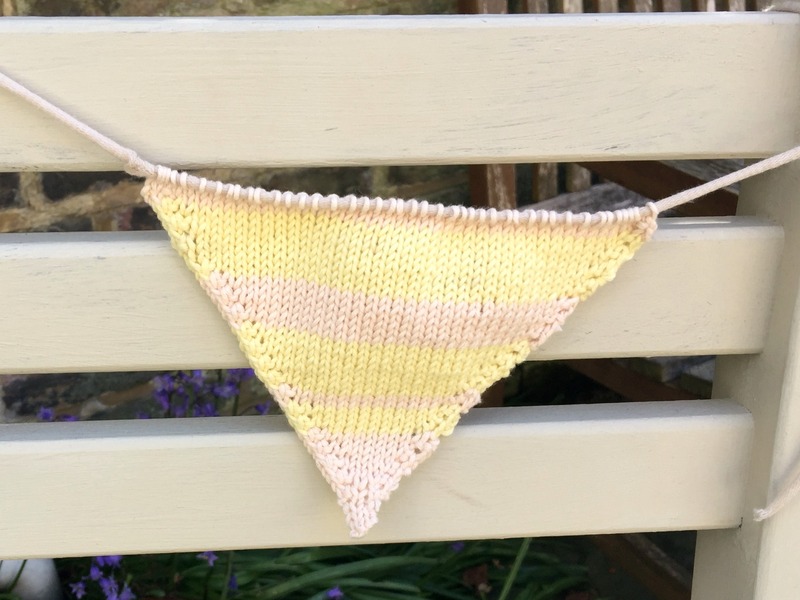 Your bunting string is made from T-shirt yarn in a contrasting/ co-ordinating colour. You need to measure out how long you’d like your bunting to be. 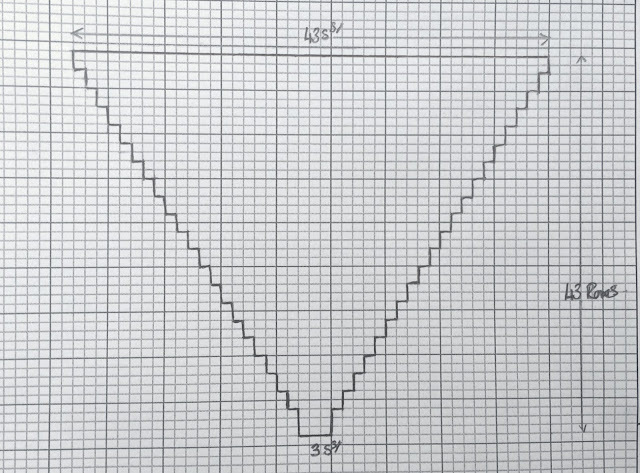 It’s a good idea to string it up where you want to hang it, winding it round whatever you’re going to use to tie it to, and work backwards from there to calculate the length you need, and how many triangles you need to make to fill it. Using a darning needle, thread one end of the bunting string and slip all of the live stitches on your bunting triangle onto the needle. 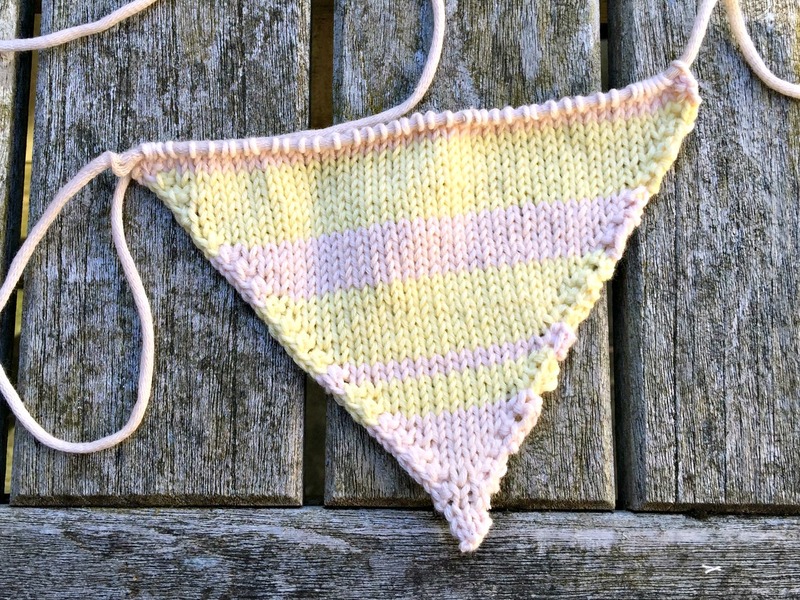 Cut the live wool, fasten so that it doesn't unravel, darn in the loose ends and you’ve got your first triangle of bunting in place. You may like to use knots – or artfully tied bows - to hold it exactly where you’d like it to sit on the bunting string. 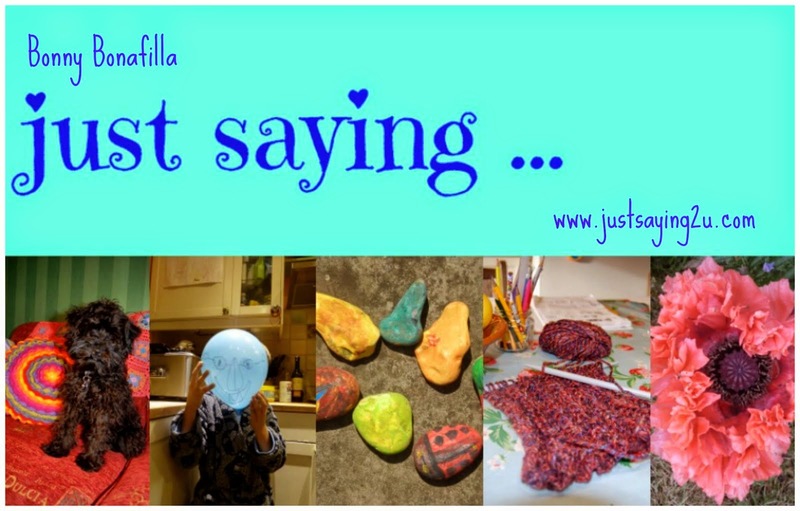 Now carry on with other similar/ contrasting triangles and you've got bunting to go. 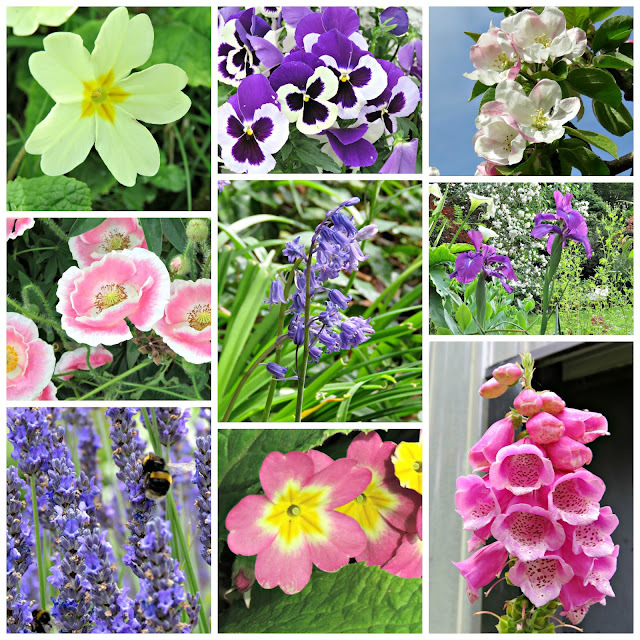 And, in the meantime, here's a little collage to celebrate all that spring loveliness out there.